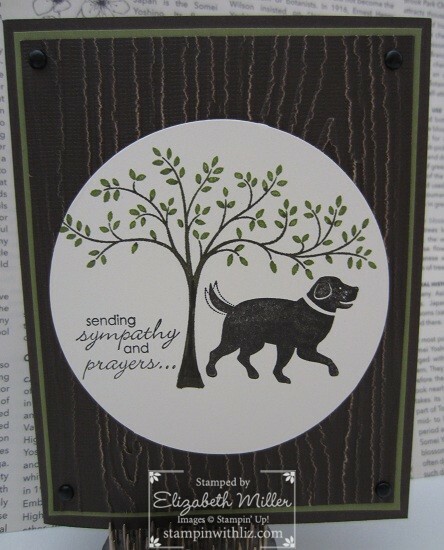 It is never easy to make a sympathy card. This card is for an organization that my Girl Scout choose to help for their Bronze Award. 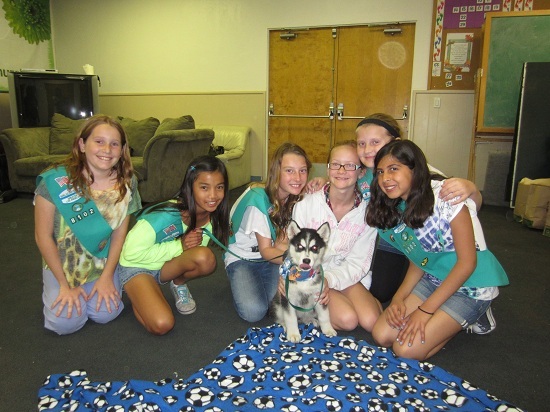 Our Troop was give the opportunity to sponsor a dog, who happened to be a puppy named Meeko. He recently came down with a very rare medical condition and after several surgeries, he didn’t make it! I wanted Rhonda, the founder of Husky Haven of LA, Inc. to know that we still love and support her. As well as sending our thoughts and prayers to her and her staff. Here is part of my Troop with Meeko when they all met for the first time.